Sega Ages Switch: M2's Sega 3D Classics line coming to the Switch. Explains why Sega Genesis Classics wasn't announced for the Switch, but for those familiar with M2's fabulous work with Sega's arcade heritage, this is potentially more interesting anyways. More than 15 classics will be coming out digitally. These include Sonic the Hedgehog, Phantasy Star, and Thunderforce IV (Which is sadly absent from Sega Genesis Classics on the PS4/XB1). Phantasy Star is new here, but with the 3d requirement lifted, probably a relatively simple inclusion for M2. And I've read elsewhere that they will be released worldwide this time around with a simultaneous release across regions. But even if that doesn't happen, the Switch is region free. And it's apparently easy to purchase content off the eShop from other regions. Hopefully the arcade games aren't left out. In particular, I'd love to see the 16:9/60 fps conversion of Outrun and Thunder Blade appear here on a console, and for a decent home port of Turbo Outrun at long last. Maybe we'll even see fresh arcade content appearing here that M2 wasn't able to deliver to the 3DS, like Outrunners. Edited by Atariboy, Sat Apr 14, 2018 4:53 AM. Outrun, Afterburner, Space Harrier, Virtua Racer, if it's missing these I'm sticking to Sega Ages in my Saturn..
Sega didn't even bring Power Drift to the 3DS. I was not pleased. They brought Power Drift to the 3DS. Thunder Blade also was in this collection, but I'd love to be able to play it on a television with a Pro Controller. Edited by Atariboy, Sat Apr 14, 2018 10:18 AM. And VR Deluxe on the 32X. I love genesis games, but they're easy to emulate elsewhere. I'd love something more technically challenging, like M2's 3DS stuff. I already wanted it on the Wii because of the wiimote/nunchuk combo, but I would love a Virtual On port with both Joy-cons emulating the twin sticks, a la Arms. If M2 does all the good emulation, I guess that makes AtGames "R-Not." Atgames can fix their emulation or diaf. I hope the switch collections allow the Sonic 2, 3 + Knuckles add-on functionality like Wii did with original VC. I am always down for some classic Sonic action. Sounds nice and I really wish I had picked that 3DS game up. I've been slowly reconsidering mothballing my 3DS as there are some interesting things out there I never got to and still crop up. I know where I can find a local copy of that Sega 3DS collection though I probably should price compare online. I've not touched the system since Mario/Luigi RPG came out more or less and yet today I grabbed up a solid deal on Pokemon Ultra Sun after reading up on it. Phantasy Star is new here, but with the 3d requirement lifted, probably a relatively simple inclusion for M2. Shouldn't be difficult, the cart collections already had SMS games on them. Someone at Nintendo Life said that they did announce "early arcade titles" to be included. Probably the same stuff we've already got on the 3DS. Should have specified they didn't bring Power Drift to the eshop. I certainly didn't want to buy a bunch of games I already bought that I would have waited on if I knew a digital release was planned. I had a feeling that you probably were talking about a standalone eShop release. It's too bad they didn't bring the standalone download out like Japan got. M2 even added some content to it as well, although I've forgotten the details. DVD publishers like doing this trick, too. Release maybe 4-5 seasons worth as standalone season sets, stall for a while, and then make the final season exclusive to a complete series release. Edited by Atariboy, Sun Apr 15, 2018 3:54 AM. 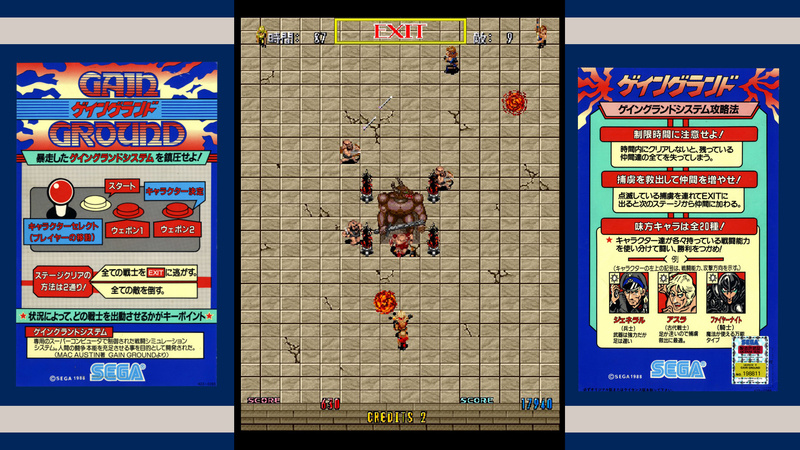 yeah, it's odd how they released the Sega classics on 3DS -- some a la carte, some in the bundle, but with odd overlaps. I would have preferred all one or the other, but I bought it all anyway just to have the whole set. I probably wouldn't mind this for my switch, even if it's just a couple of the games I'd like to have (primarily Phantasy Star - so I don't have to hook up the genesis+powerbase to play it). If Sega's selling these as a bundle, that's fine I'd probably get the bundle for the few games I'll particularly want, but if they sell them individually they'll see far less cash out of me. I'm having this issue with 3DS/Wii-U. I haven't really touched 3DS or Wii-U in a month of Sundays since getting Switch (and Switch is currently taking a backseat to Super NT), got a backlog of games too, but now several of those obscure Wii-U exclusive titles I bought during the Wii-U twilight era are getting reissues as physical Switch cartridges. Some of that backlog I'll likely get nostalgic for at some point long after Switch becomes old news, and I'll still have new games to revisit or in some cases haven't even played yet. Well I've kind of a had a mini pokemon weekend with stuff as that game yesterday, then today I got a NFR demo of mystery dungeon red rescue team and after a year of looking locally the pokemon silver nintendo official guide. Now I have to decide finally when I'll start up Crystal which I have never done as I skipped that generation so I've held onto that game for quite awhile. I think I may have to force my hand on using my stuff since I do like it, maybe just turn off the laptop and close it, quit sleeping the thing as I'd be lazy or nervous enough about repeatedly power cycling it each day. Two more games are announced, including an arcade game. Also worth mentioning that Saturn and Dreamcast games are planned. I doubt Gain Ground will excite us westerners, but it happily provides confirmation that arcade games will be a part of this program. And the possibilities that could entail is the exciting aspect of this announcement, in my opinion. Edited by Atariboy, Mon Apr 16, 2018 4:44 AM. M2 is good at options, so I'm sure that black will be available for pillarboxed areas, as well as probably a stretch mode for that segment that likes to distort everything. And I suspect most arcade candidates will be true 16:9 anyways, as seen on the 3DS. In all the interviews that they did for the Sega 3D Classics line, they kept speaking about not wanting to take a step backwards with games that had been ported in the past by M2 and others. 60 fps instead of the original 30 in Outrun because Saturn Outrun ran at 60, for instance. So I don't see them reverting to 4:3/3:4 for such games now. But Gain Ground is the type of game where such a conversion just isn't practical, unlike say a Super Scaler game or a horizontal shooter like Fantasy Zone where widescreen doesn't negatively affect gameplay. Edited by Atariboy, Mon Apr 16, 2018 7:15 AM. 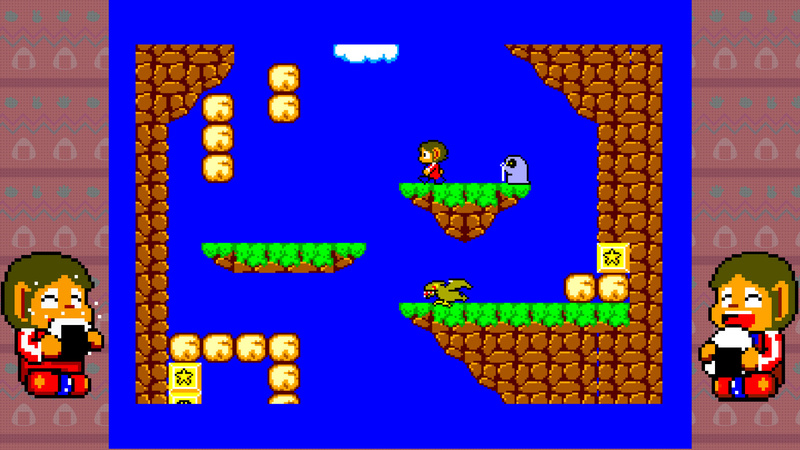 Alex Kidd amuses me even if those janken matches are hot garbage. It's one of the reasons I keep my atgames (though they didn't make it) arcade portable gamer device with 30 SMS/GG games around as it works well and looks/sounds right too. I'm interested in this package, but depending how they deliver it would largely depend on how or if I support it, much like the SNK bundle for later this year. Physical I'd buy it, non-probably not or on a very select game by game basis depending on how they price it out much like the 3D Classics line of Nintendo/Sega for the 3DS. I believe digital distribution with each game sold separately has been confirmed. But maybe a compilation could happen later, although I wouldn't hold your breath over it coming out in the US if it did (Although the Switch is region free). SNK 40th Anniversary Collection is retail though, and is offered both in standard edition cart only form and a deluxe collector's edition. I was thinking wider since in Japan they got a fair shake with the added volumes on 3DS of those Sega title packages in 3D. It would make sense they'd dangle that out there for the locals and without a region lock that would be a prime pick up depending on the library given. Edited by eightbit, Mon Apr 16, 2018 9:07 PM.